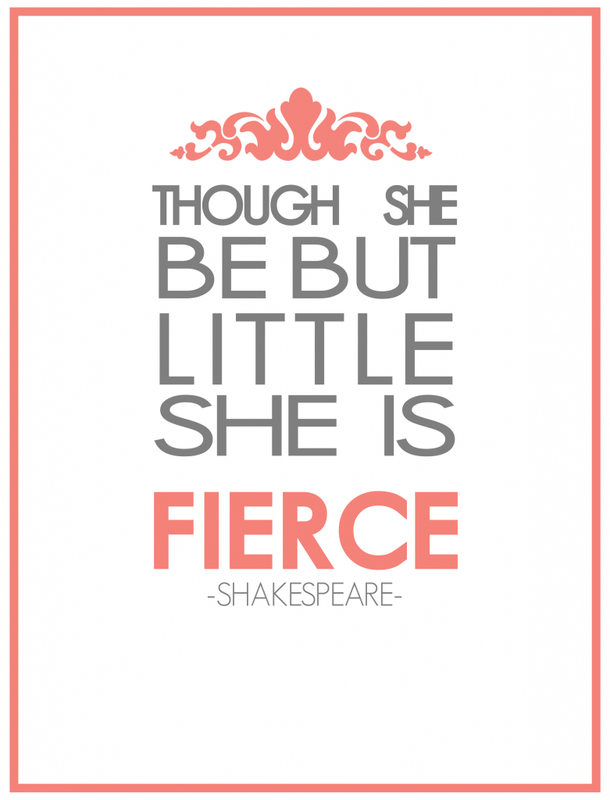 This quote by Shakespeare has always stuck with me because I felt like it was a pretty good description of how I see myself. There isn’t anything about my personality that is meek, mild or shy, to say the least. 😉 Don’t get me wrong….I’m kind, generous and respectful. Friendly and very outgoing but when it comes to being fierce I think that is found more in whatever I have a passion or drive for. I’m fierce in loyalty (until hurt…that’s the Scorpio in me really), I’m fierce in standing up for what I believe in, and I’m fierce when it comes to helping friends or family. I would go to the ends of the earth for those that I care about. I also have a passion for my faith and the study of the Word. It’s a short quote but I think it’s powerful and speaks volumes in so many ways.